This humble worker may be tiny, but it’s still mighty. Drive over the river and through the woods to catch that train and deliver the goods. 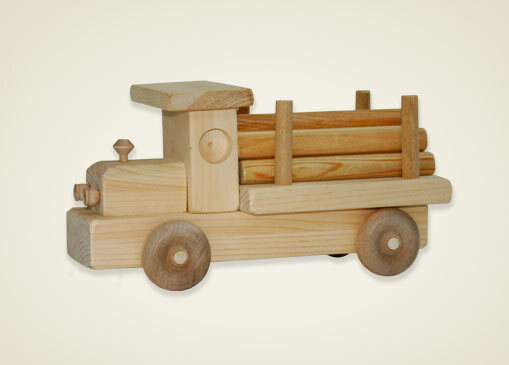 A rugged toy with a rich wooden history is sure to capture any young lumber jack’s imagination.